On May 7, 2019 citizens of Ovid-Elsie Area Schools will have an opportunity to go to the polls to vote on a bond extension to provide the district with $6 million to fund capital improvements throughout the district. By extending the existing bond debt an additional three years, these improvements can be done without raising taxpayers' existing rates. 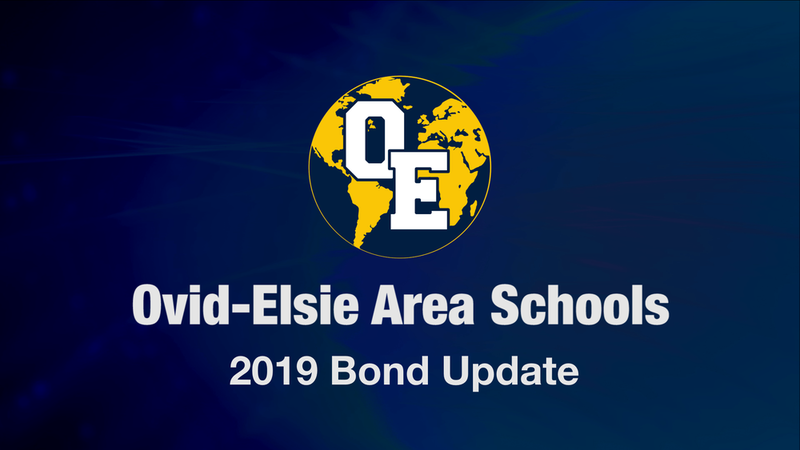 Ovid-Elsie Area Schools have been careful and responsible in making certain that any bond dollars approved by our communities are used to provide the maximum benefit to the district at the lowest possible cost to our taxpayers. The district has refinanced our existing bond debt several time in the past fifteen years to take advantage of lower interest rates. To date, over $3.6 million dollars have been saved by refinancing and those savings equate to our property owners paying less out of pocket over the term of the bonds.